WEB BASED ELECTRICAL TESTING SOFTWARE, WHICH INCLUDES THE LATEST 17TH EDITION AMENDMENTS. 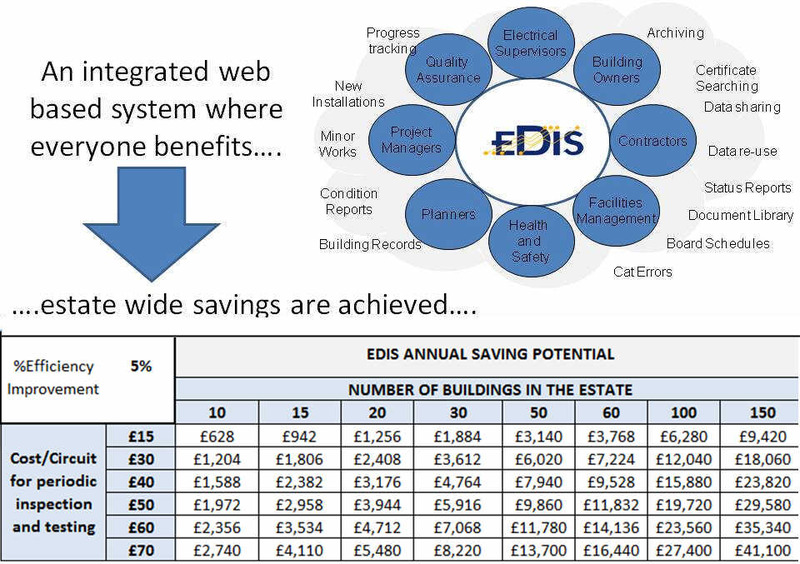 EDIS provides one centralised, integrated and correct set of electrical certificates, DB schedules, schematics, list of actions required and re-testing information for all buildings in an estate. EDIS allows for partial (e.g.20% per annum) testing: tracks testing at a circuit level.